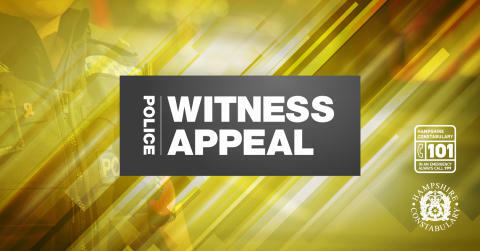 You may remember that we issued an appeal back in November following six burglaries and one attempted burglary in Fareham, Hill Head, and Stubbington. Entry was gained by either forcing windows and doors, or entering windows or doors that had been left insecure. Over the past few weeks we’ve had another five reported to us in Fareham and Gosport, which we believe might be linked, so we wanted to remind residents of the extra steps they can take to help deter burglars. High value items, such as jewellery, were stolen during these incidents. Inspector Richard Thompson said: “We had a great response following our last appeal and we have been working hard following up several lines of enquiry and carrying out extra patrols. “Unfortunately, the area is still being targeted so we wanted to remind residents of the simple steps they can take to help prevent their homes being targeted. “Make sure all windows and doors are locked, including those on higher floors as there may be ways they can be accessed. “Keep all valuables out of sight, don’t leave them on windowsills for example. “If you’ve seen anything suspicious that could help our enquiries please call 101 or speak to a member of the Neighbourhood Policing Team, which is regularly patrolling the affected areas”. Anyone with information is asked to call us on 101, quoting 44180437435.